This is a collection of my Physical Zelda Video Games! No Zelda Collection could possibly be complete without hording an actual Zelda game here and there! I am always looking for leads on some various editions of the games, so feel free to Contact me if you know of (or have) any for sale! I will also be including Legend of Zelda Game & Watch and Legend of Zelda Game Watch since they are still technically Zelda video games (even if they weren't released by Nintendo) as well as other non-canon games like the Super Smash Bros. series were Zelda characters are featured! Other Info: When Nintendo was first porting their games for North American consumers, the story goes that the "five screw" copies of games were the first run of games created. After awhile, either because making the "three screw" versions were cheaper or it was a means to make it harder for the average consumer to open the newer cartridges by having specialized screws, the "five screw" editions of games became a rarer copy to find. 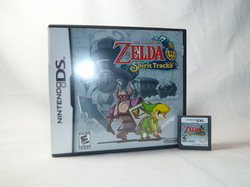 Other Info: This game has several ports and remakes including: the original title The Hyrule Fantasy: The Legend of Zelda for the Famicom, the BS The Legend of Zelda, the GameCube Collector's Edition, the Game Boy Advance "Classic NES Series" re-release, the Wii Virtual Console re-release, and the 3DS Virtual Console re-release. 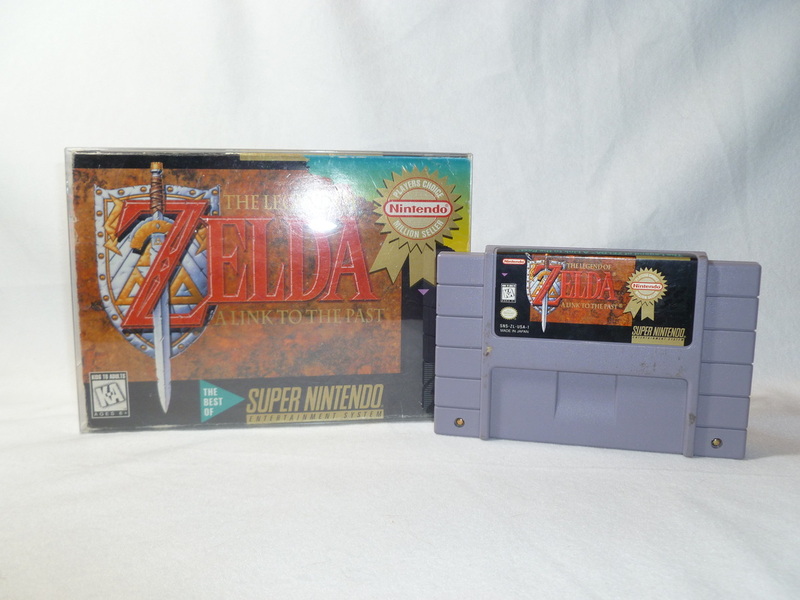 Other Info: This game a featured side-scrolling field of play rather than the typical top-down Zelda style. The game has been re-released several times, including: a Game Boy Advance "Classic NES Series" re-release, the GameCube Collector's Edition, the Wii Virtual Console re-release, and the 3DS Virtual Console re-release. Other Info: White Edition (other available colors were black, pink, and red.) 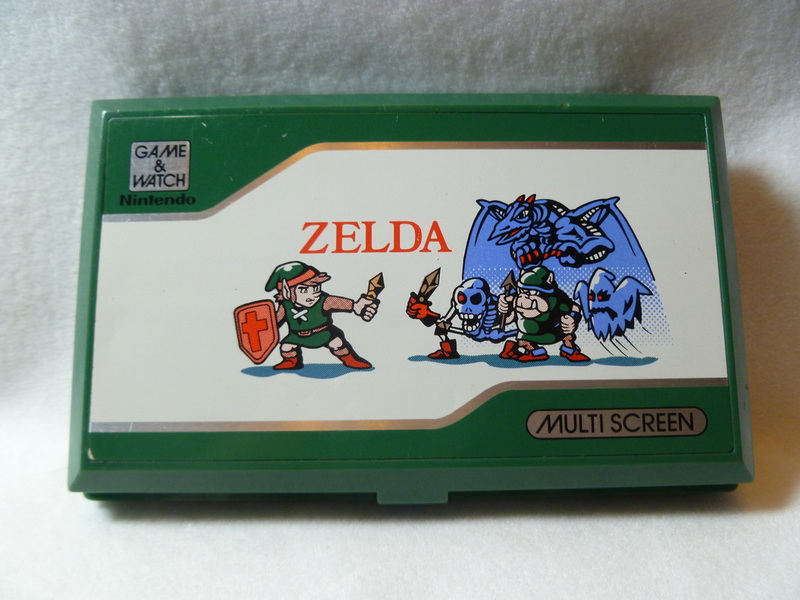 The Zelda Game Watch is considered non-canon part of the Zelda franchise. Also seen in my Accessories section. Other Info: Zelda is a multiscreen Game & Watch game that was only released in English as a stand-alone "system" pre-loaded with the single game. It has dual screens which fold in a clamshell design (similar to the Nintendo DS). It was re-released in 1998 as part of the Nintendo Mini Classics line. 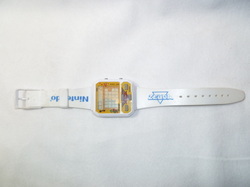 The complete game can be unlocked in Game & Watch Gallery 4 (known as Game & Watch Gallery Advance in Europe and Australia) for the Game Boy Advance. Its core idea is based on the storyline of the original The Legend of Zelda, where Link must fight through eight dungeons and obtain the eight shards of the Triforce of Wisdom. However, it bears more similarities to The Adventure of Link, since it is 2D and from a side-on perspective. 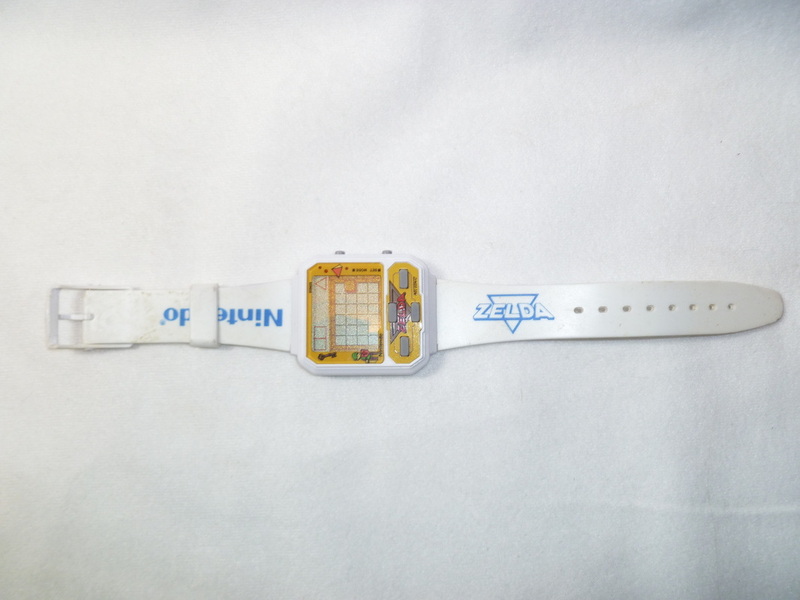 It is commonly confused with the The Legend of Zelda Game Watch. Other Info: The first Zelda game to feature "The Dark World". It has been re-released with the duo title The Legend of Zelda: A Link to the Past & Four Swords on the Game Boy Advance. Other Info: The game was re-released in color (Link's Awakening DX) in 1998. It is also the only game where Zelda is never seen in game-play. She is only mentioned by Link early within the game. Ganon is also not featured as the villain in this storyline. 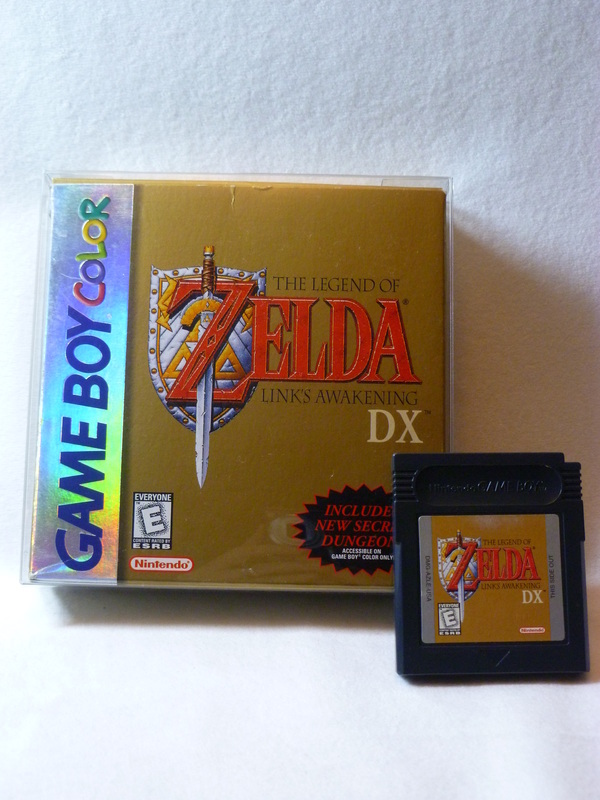 Other Info: The game was re-released in color (Link's Awakening DX) in 1998. It is also the only game where Zelda is never seen in game-play. She is only mentioned by Link early within the game. Ganon is also not featured as the villain in this story line. 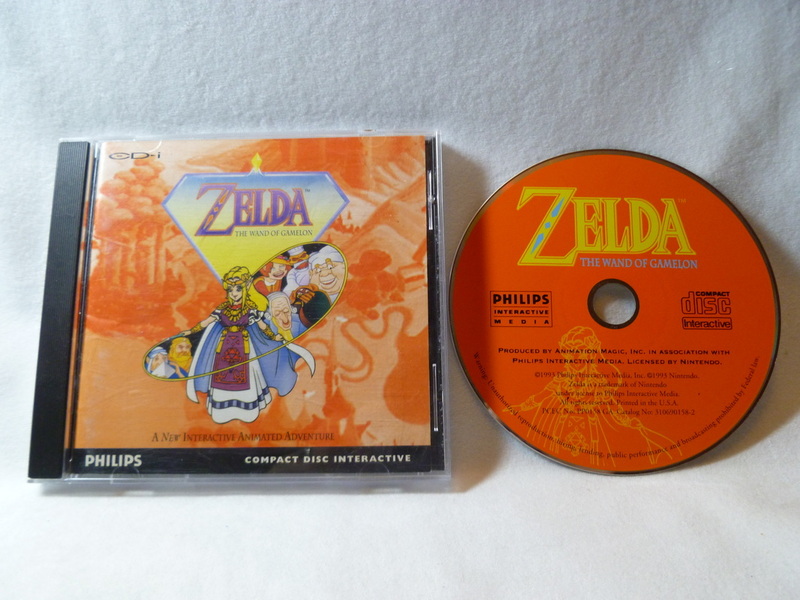 Other Info: The second game of the Zelda CD-i trilogy that has been banished by fans and Nintendo itself from the main line of cannon Zelda titles. Other Info: This game is a colored reboot of Link's Awakening. It also features a new dungeon that focuses on color-related puzzles. This version was then re-released on the 3DS Virtual Console. 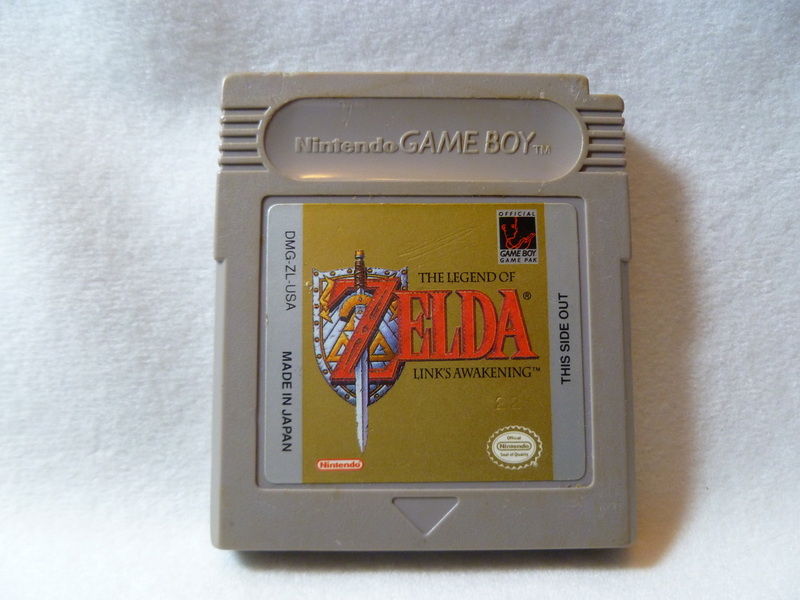 Also, like the original version, it is also the only game where Zelda is never seen in game-play. She is only mentioned by Link early within the game. Ganon is also not featured as the villain in this storyline. 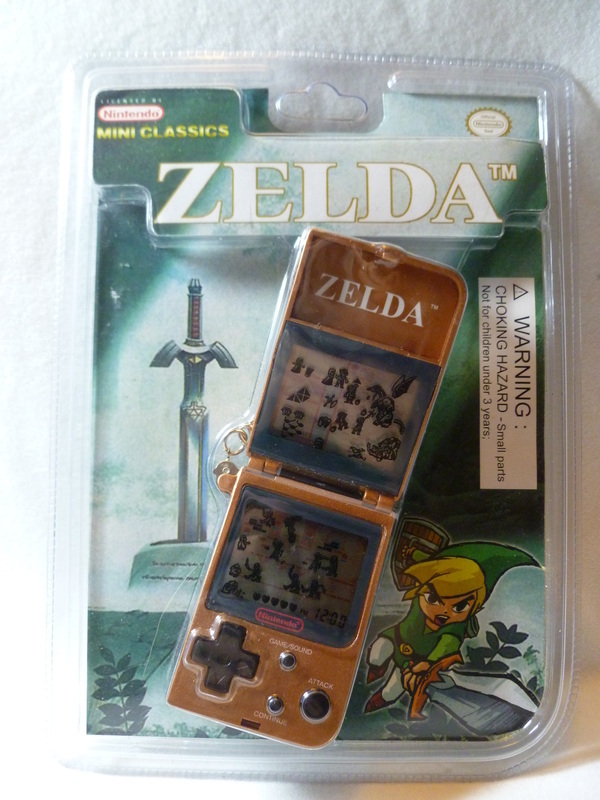 Manufacturer: Outrageous Int'l HK Ltd.
Other Info: This is a remake of the Game & Watch Zelda duo screen game. Other Info: This is the first Zelda game to feature 3D graphics. 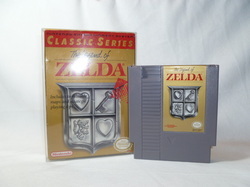 This edition of the cartridge is a gray, V1.0 copy of the game. This version is fairly glitchy compared to it's later renditions. It also has the original Gerudo Symbol within the game (a crescent moon and star image that was argued to too closely related to Islamic symbols.) 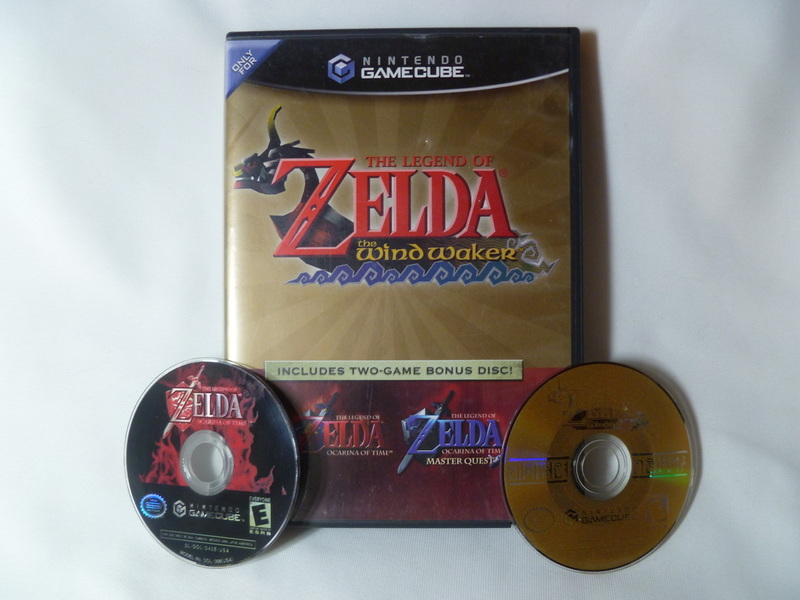 This game was re-released several times, including: the GameCube Collector's Edition, the Wii Virtual Console re-release, and the 3DS Ocarina of Time 3D reboot (with updated graphics.) 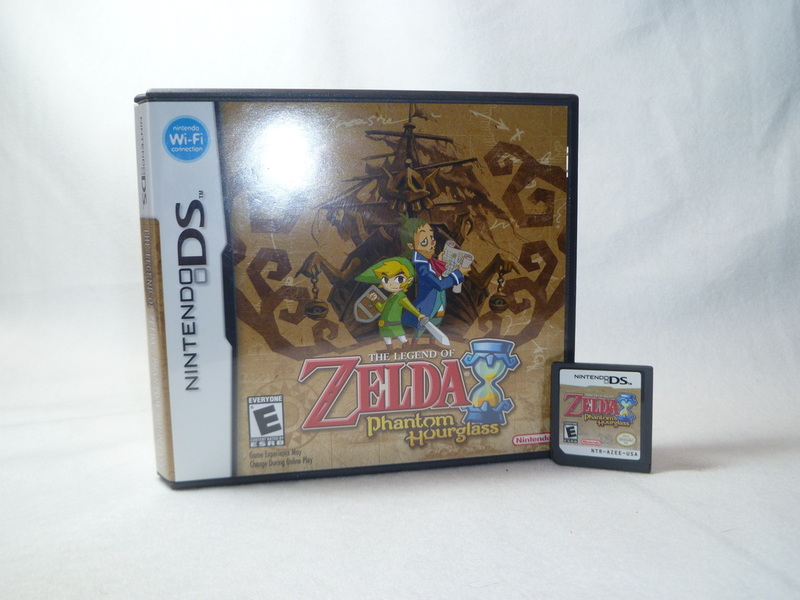 If you would like to see more about the differences in the releases, check out Zeldaspeedruns.com. Other Info: This is the first Zelda game to feature 3D graphics. 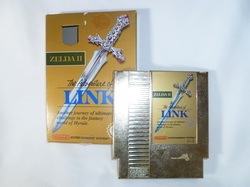 This edition of the cartridge is a gold, V1.1 copy of the game. This version corrected many of the errors from it's initial release. It still contained much of the controversial material that was in the first edition of the game (such as Gerudo Symbol, religious chanting, Ganondorf's red blood.) This game was re-released several times, including: the GameCube Collector's Edition, the Wii Virtual Console re-release, and the 3DS Ocarina of Time 3D reboot (with updated graphics.) 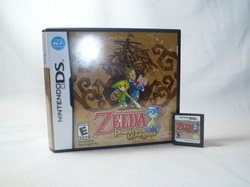 If you would like to see more about the differences in the releases, check out Zeldaspeedruns.com. Other Info: This is the first Zelda game to feature 3D graphics. 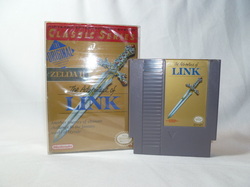 This edition of the cartridge is a gray, V1.2 copy of the game. This version has had many errors corrected from it's initial release. It has the altered Gerudo Symbol within the game (early editions featured a crescent moon and star image that was argued to too closely related to Islamic symbols.) It also has the religious chanting removed from the fire temple. 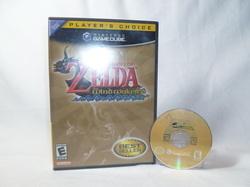 Another major change that was made was Ganondorf's blood was changed from red to green, possibly to help the game's rating E. This game was re-released several times, including: the GameCube Collector's Edition, the Wii Virtual Console re-release, and the 3DS Ocarina of Time 3D reboot (with updated graphics.) 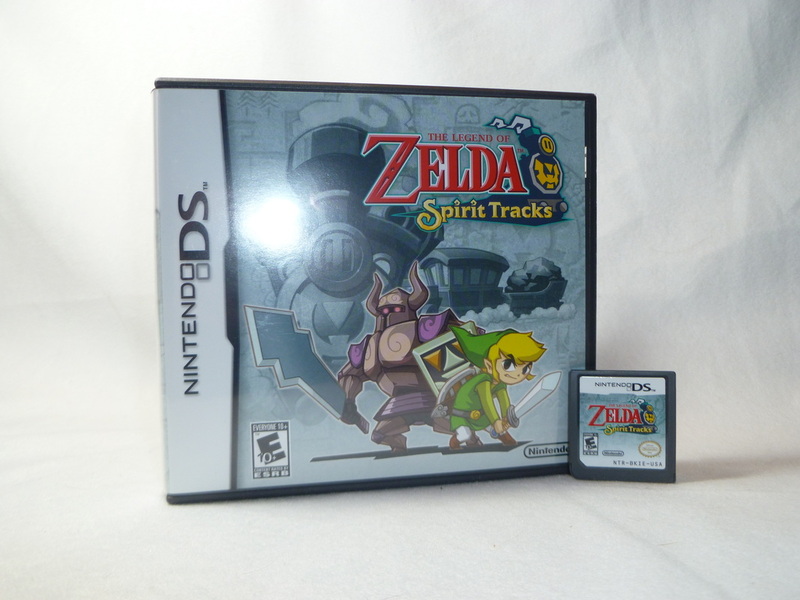 If you would like to see more about the differences in the releases, check out Zeldaspeedruns.com. 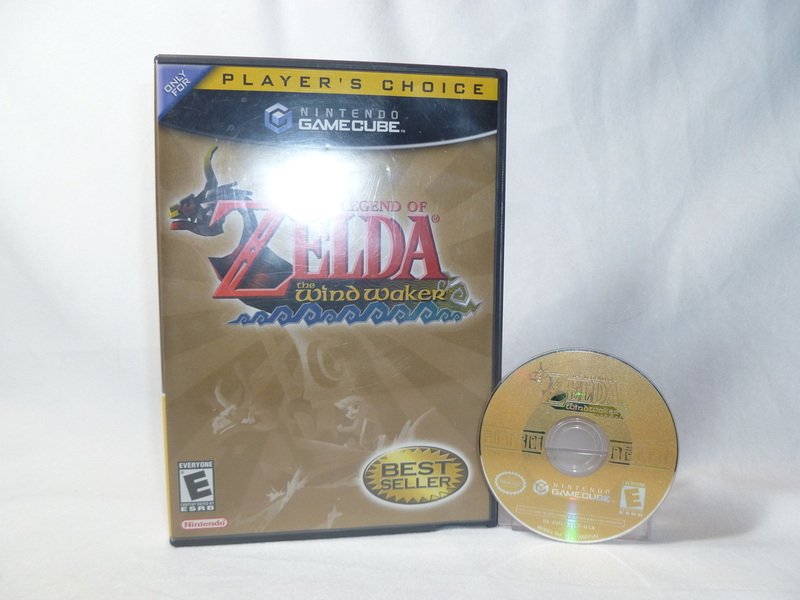 Other Info: This is Not For Resale copy of Majora's Mask. There are some minor damages to the back panel of the cartridge. Other Info: This game is a direct sequel to the previous title, Ocarina of Time, with similar graphics and game mechanics. 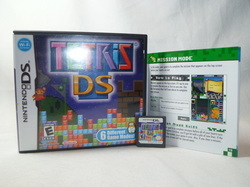 This game features a unique timed game play, which players had 3 Day (72 Hours) to complete various missions. Players were able to save completed missions and return to the Dawn of the First Day in order to complete the game. Like Link's Awakening, the character's Zelda and Ganon have almost no role in the game. Zelda is seen only in a flashback scene. 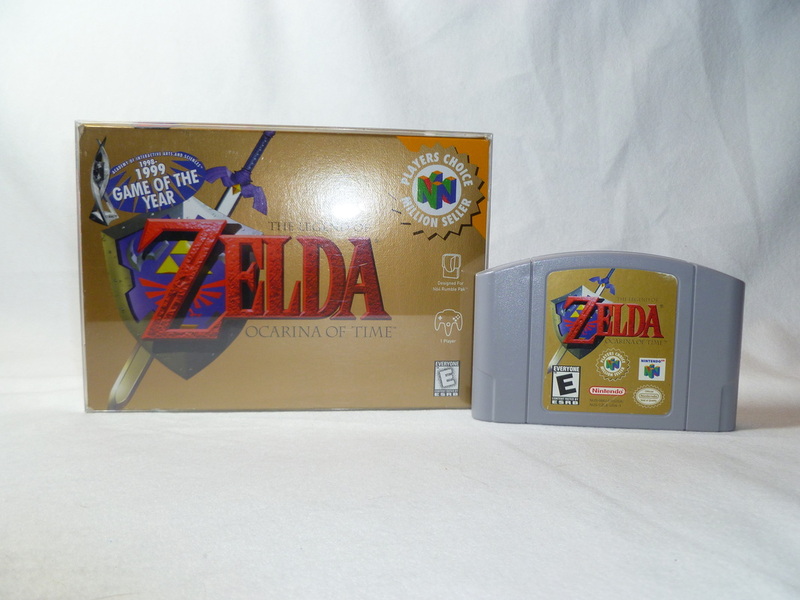 The golden North American standard cartridge features a non-holographic label. 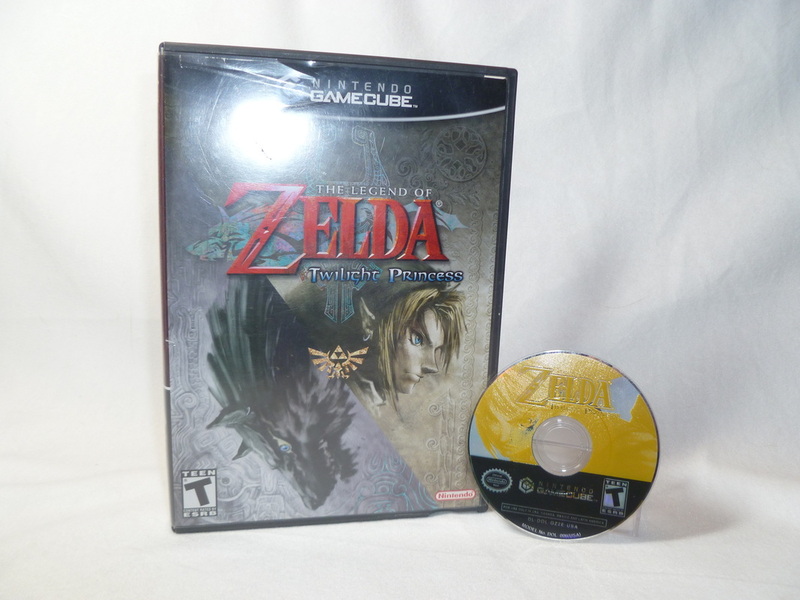 This game was re-released twice: on the GameCube Collector's Edition and the Wii Virtual Console re-release. Other Info: This game is a direct sequel to the previous title, Ocarina of Time, with similar graphics and game mechanics. 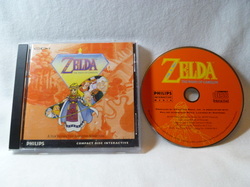 This game features a unique timed game play, which players had 3 Day (72 Hours) to complete various missions. Players were able to save completed missions and return to the Dawn of the First Day in order to complete the game. Like Link's Awakening, the character's Zelda and Ganon have almost no role in the game. Zelda is seen only in a flashback scene. 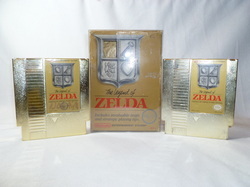 This is the golden North American collector's cartridge also features a holographic label. 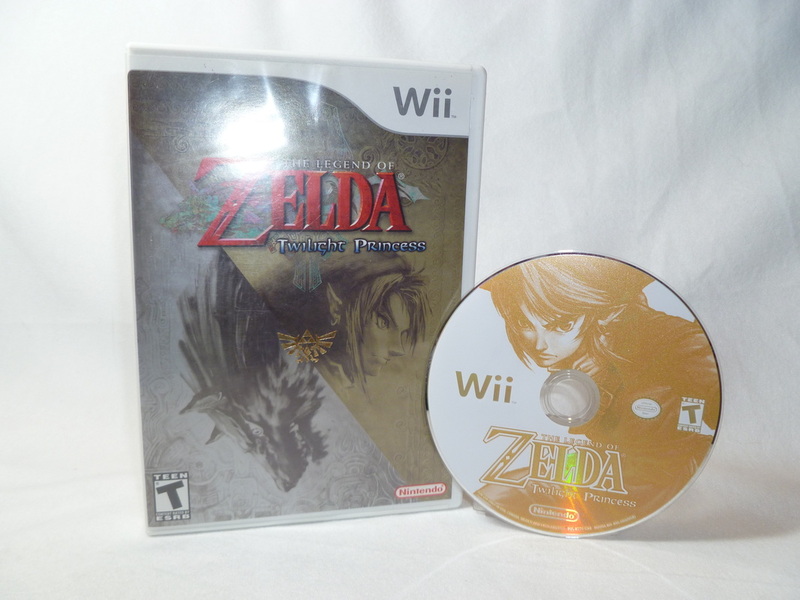 This game was re-released twice: on the GameCube Collector's Edition and the Wii Virtual Console re-release. 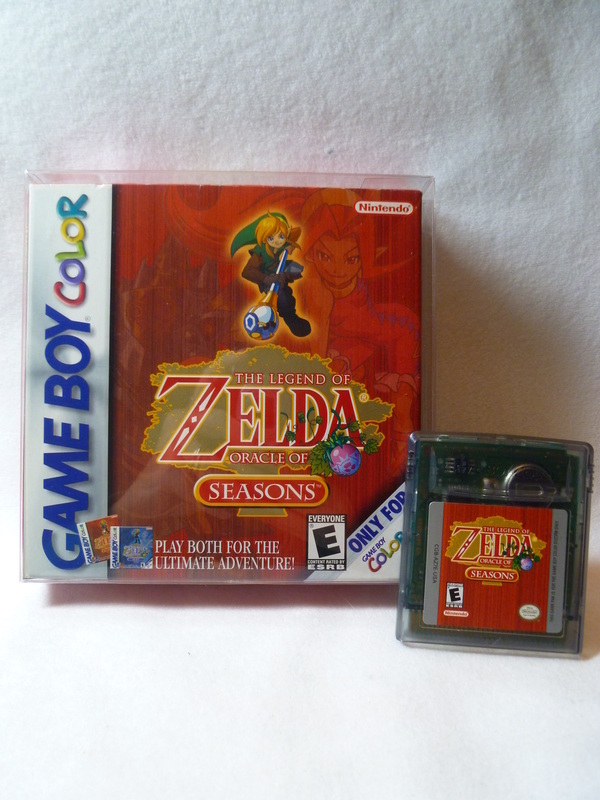 Other Info: This title was co-released with Oracle of Seasons, also for the Game Boy Color. After completing one of the two games, they can be linked to form a single, linear plot (as opposed to two parallel ones) with an alternate ending. Game-linking also unlocks extra content, such as new items. The game was re-released for the 3DS Virtual Console. Other Info: This is the "Not For Resale" store display version of this game. It does contain a complete version of the game itself rather than a shorter, demo version. 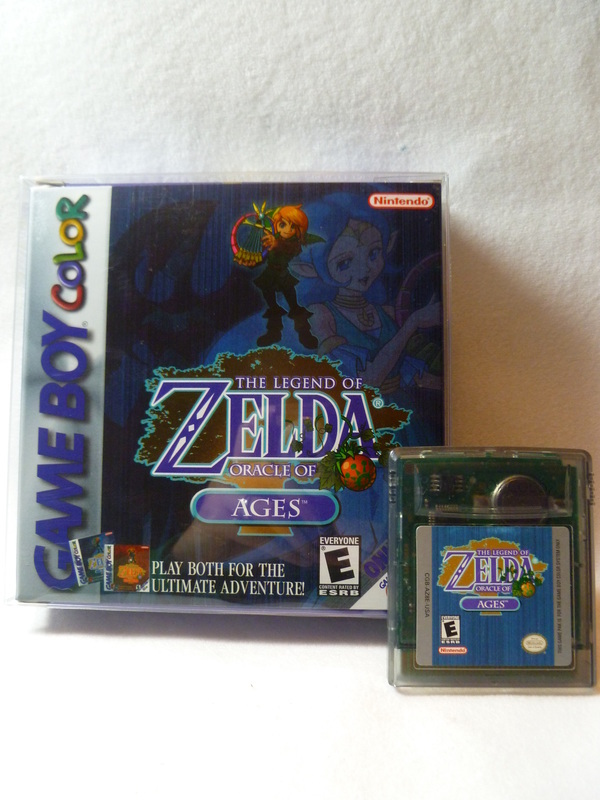 Other Info: This title was co-released with Oracle of Ages, also for the Game Boy Color. After completing one of the two games, they can be linked to form a single, linear plot (as opposed to two parallel ones) with an alternate ending. Game-linking also unlocks extra content, such as new items. The game was re-released for the 3DS Virtual Console. 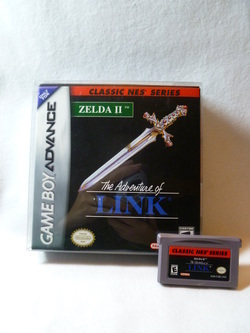 Other Info: A Link to the Past is a re-release of the SNES version, but made compatible for the Game Boy Advance. 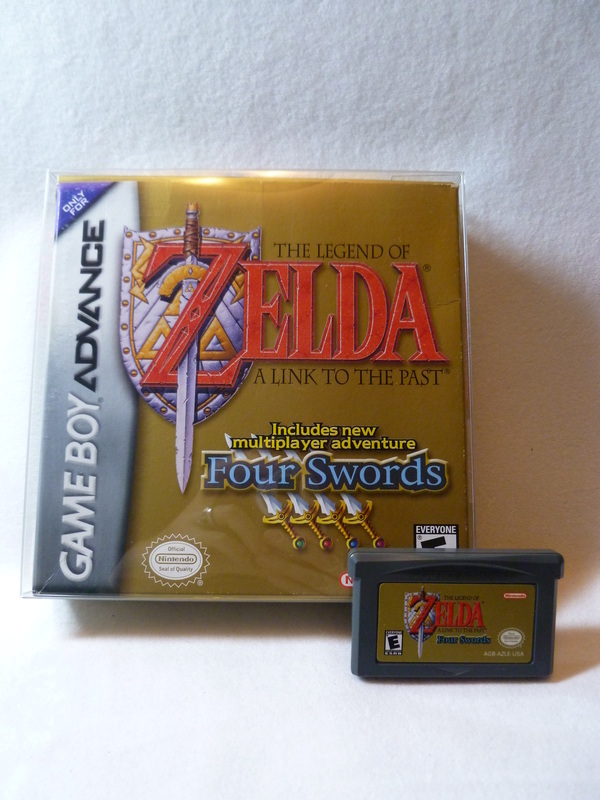 Four Swords is a relatively short game alongside A Link to the Past for the Game Boy Advance. 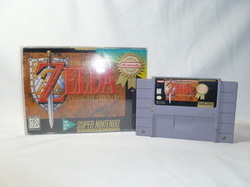 It was the first multi-player Zelda game to be released, and the first in the Four Swords lineup. The game introduced Vaati as a new main boss for the series. To play it, one must link up two to four GBA systems each with its own game cartridge. Four Swords was re-released as part of the 25th Anniversary of the Zelda series as the Four Swords: Anniversary Edition, a free download for both the Nintendo DSi and Nintendo 3DS between September 28, 2011 and February 20, 2012. 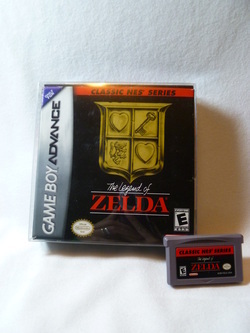 The game includes new levels, located in the Realm of Memories and Hero's Trial, with levels based on The Legend of Zelda, A Link to the Past, and Link's Awakening. Other Info: This is the first game in the Zelda series to feature Cell-Shading for its art style. 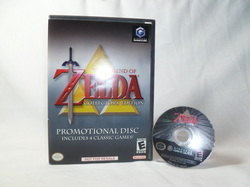 It is also the first Zelda title to utilize a disc rather than a cartridge. The game will be re-released for the WiiU with improved, high definition graphics. Other Info: Ocarina of Time Master Quest is a "Second Quest" version of the original Ocarina of Time for the Nintendo 64. Master Quest contains largely the same content as the original Ocarina of Time, but with redesigned, more difficult dungeons. Master Quest was available on a special bonus disc that also contained the original Ocarina of Time. This disc was given out in limited quantities with preorders of The Wind Waker. 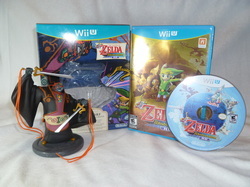 Additionally, it was sold packaged with The Wind Waker in some regions. It is also available in Ocarina of Time 3D after first completing the regular game. Other Info: It is the only console Zelda title to date to incorporate multiplayer elements into its main campaign. 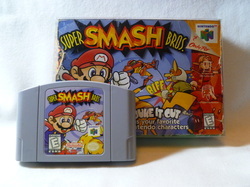 This title is unique in having two main styles of gameplay, Single Player and Multiplayer. Even as a Single Player game, there will be 4 Links to control. The game mechanics ease this feat by having 4 set Battle Formations for the Links to battle with. When not in formation, one can choose to have the remaining Links follow him or stay seated until switching between them. As a multiplayer with 4 players, each player will control their own Link. The GameCube controller can be used only in Single Player. Multiplayer requires the use of GameBoy Advances. While off of the main screen, the player will be able to see game action on the GameBoy Advance screen. Other Info: This title was re-released on the 3DS Virtual Console. 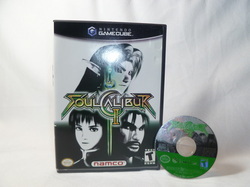 Other Info: This title is noted for being the last available game for the Nintendo GameCube. It was co-released with its counterpart for the Wii a month afterwards for the holiday season. The artwork returns to a more natural 3D design, similar to Ocarina of Time and Majora's Mask. 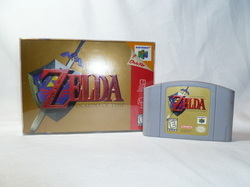 This is also the first title in the Zelda series that is rated T (Teen). 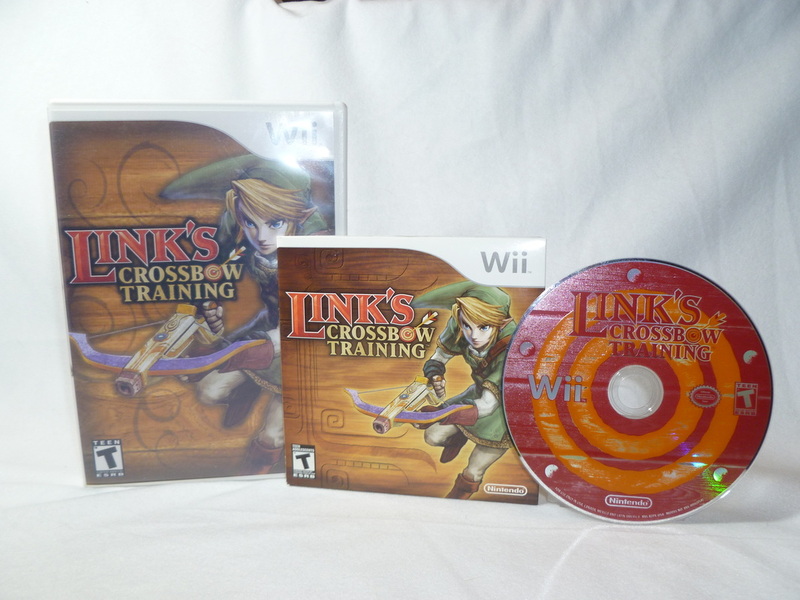 Other Info: Link's Crossbow Training is a spin-off of the The Legend of Zelda series for the Wii and is not considered part of the Zelda Timeline (although it remains ambiguously canon.) It shipped with the Wii Zapper and most likely takes place at different times during or after Twilight Princess. It was created to demonstrate the use of the Zapper. Link must pass a series of tests to perfect his marksmanship with the crossbow. Link's Crossbow Training supports a four player turn-based multiplayer mode, where the Wii Zapper is passed among the players, who play individually and compete for the highest score. 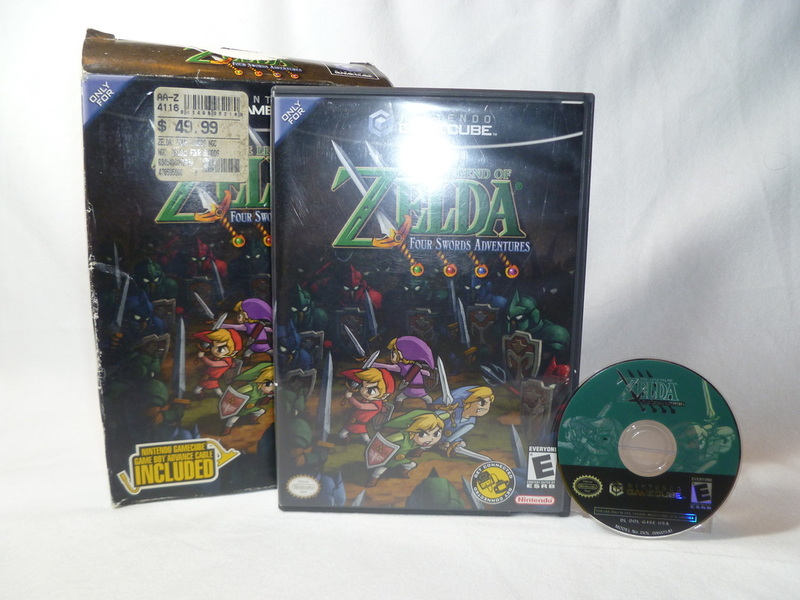 The US version of the game is released in a cardboard sleeve, whereas the PAL version has it's own plastic case. Custom cases have been created by fans for game shelving purposes. Other Info: This game is a direct sequel to The Wind Waker. 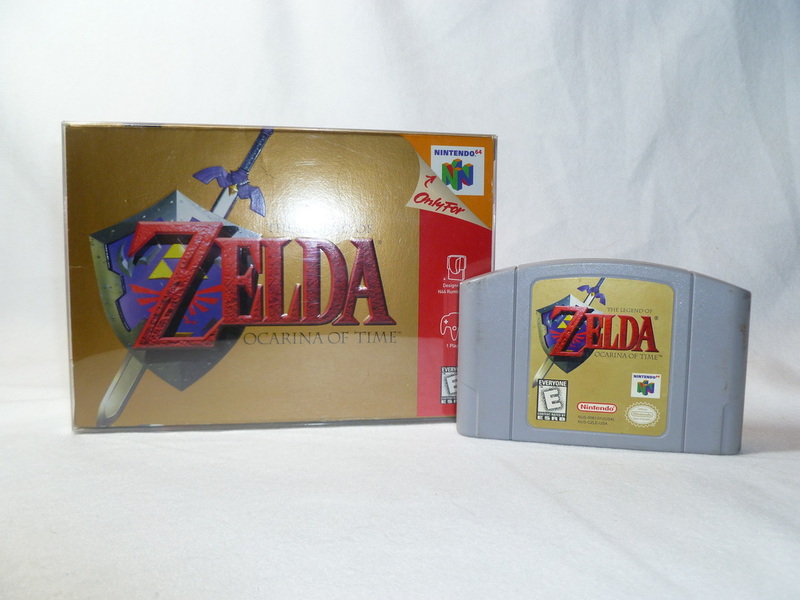 This title also featured a multiplayer minigame where one or several Links would compete to capture Force Gems. Other players could play and manipulate several Phantoms in order to minimize the amount of Force Gems their opponents capture. The multiplayer game was able to link via Wi-Fi and only one game cartridge was required for two or more to play. Other Info: This game is a sequel title that takes place around 100 years afterward Phantom Hourglass. 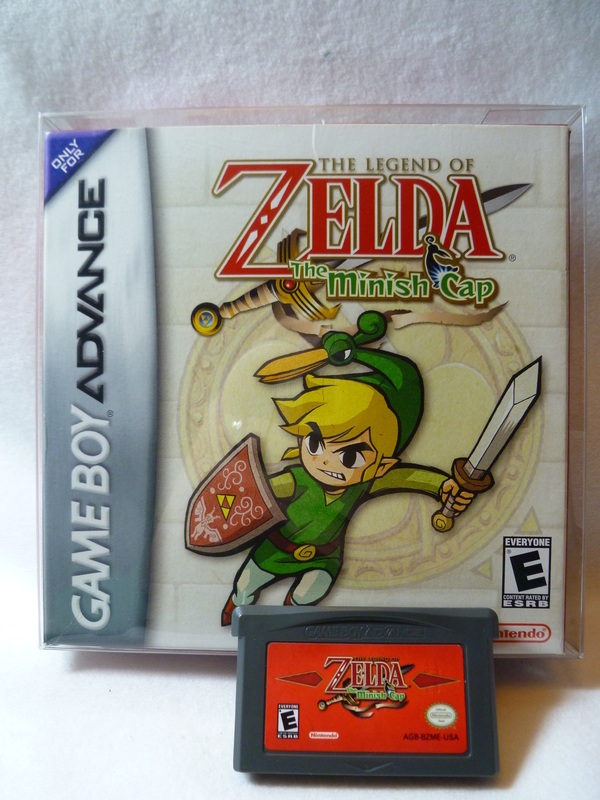 This title also incorporated similar multiplayer options through the use of Wi-Fi and DS Download Play. Friends could trade treasure items via Tag Mode, or they could battle once more for Force Gems using Battle Mode. 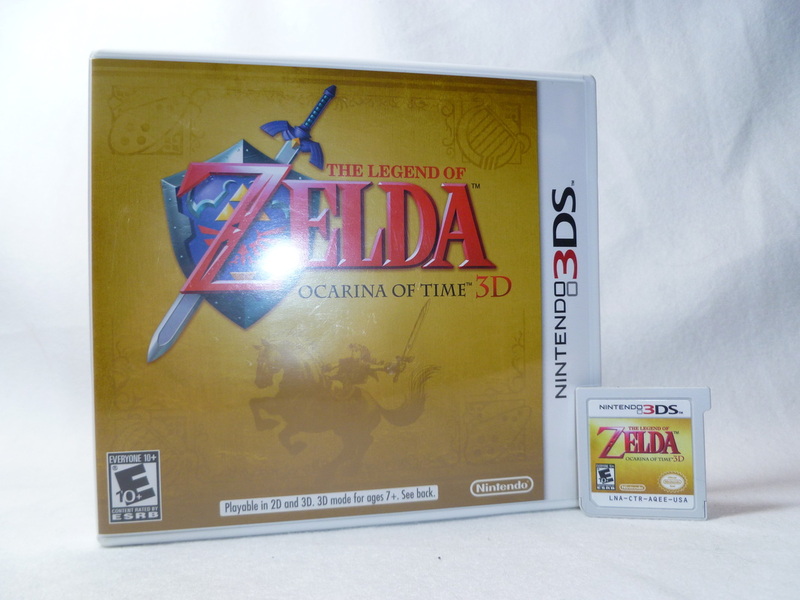 Other Info: The Legend of Zelda: Ocarina of Time 3D is a Nintendo 3DS remake of the Nintendo 64 game, Ocarina of Time. 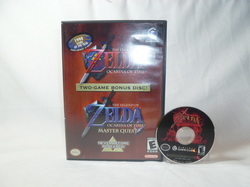 The game also includes Master Quest, which was originally released for the Nintendo GameCube. 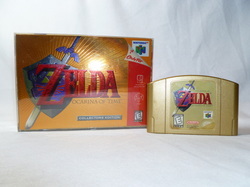 The 3DS version is the first port of Ocarina of Time that recreates the graphics, instead of simply porting over the N64 ones, to take advantage of the more powerful hardware and fit modern standards. 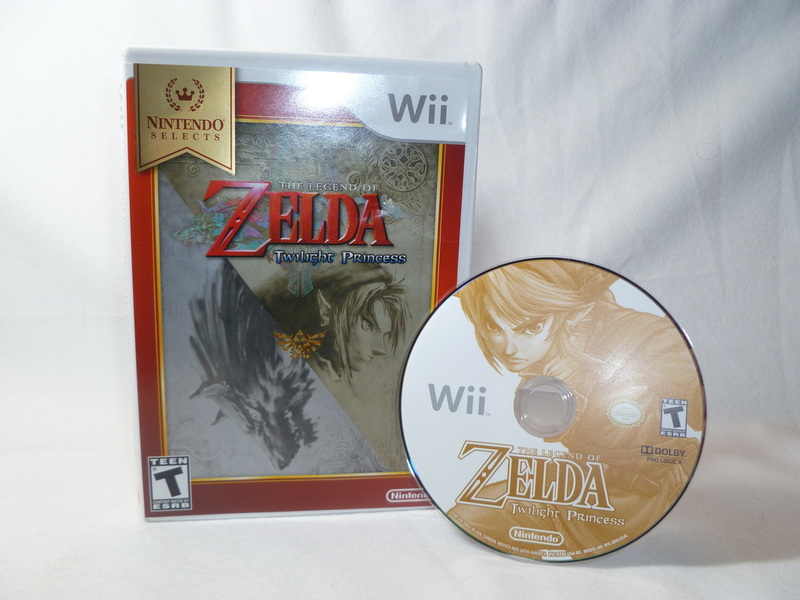 It is the first version of the game that is not an emulation, as the GameCube and Wii versions are. As such, most textures are significantly more detailed, and many models consist of more polygons than the original. 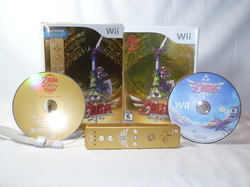 Other Info: Unlike Twilight Princess, Skyward Sword was the first game developed for the Wii. The game utilized smoother controls schemes of the Wiimote via Wii Motion Plus. The Special Edition release of the game was a boxed bundle that included: the game, a limited edition CD featuring music performed at the Legend of Zelda 25th Anniversary Symphony Concerts, and a golden Wii Remote Plus. 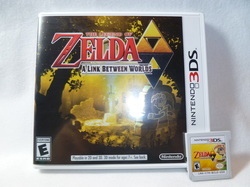 Other Info: This game was also released as a free downloadable title when you purchased the Zelda Edition 3DS XL. Other Info: This game was released at the launch of the New 3DS XL. It is a remake of The Legend of Zelda: Majora's Mask for the Nintendo 64. The used the same engines that were created from Ocarina of Time 3D. Other Info: This game was released at the launch of the New 3DS XL. It is a remake of The Legend of Zelda: Majora's Mask for the Nintendo 64. The used the same engines that were created from Ocarina of Time 3D. The Collector's Edition was released with a limited Skull Kid figure. This copy is still sealed. The figure is also located in my Large Figure Section, where you can see more shots of the figure, while still in box. 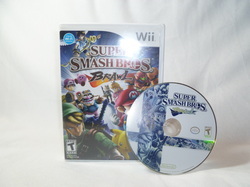 Game Title: Super Smash Bros.
Other Info: Link is the only character from the Zelda series to be featured in this title. Other Info: Scribblenauts Unlimited is a game for the Nintendo 3DS, Wii U, and Microsoft Windows. Like in its predecessors Scribblenauts and Super Scribblenauts, the core gameplay element is that the player can create any object in the game's dictionary by typing it in Maxwell's notebook. The game has both a sandbox and puzzle mode. In the Wii U version only, the player can create characters and objects from the Mario series and The Legend of Zelda series. Other Info: The Legend of Zelda: Battle Quest attraction from Nintendo Land is inspired by the Zelda series. The basic premise of the game is to navigate through various enemies in order to reach the end of the level and be victorious against a boss. Players can play as 1 of 3 sword wielding characters using the Wii Remote while only 1 can play as the archer using the Wii U GamePad. Other Info: This game was released as a Club Nintendo reward in Japan. It is a remake of the NES classic Balloon Fight with Tingle from Majora's Mask added as the new main character. Other Info: This is Tingle's first full-fledged game in the non-Zelda canon universe.